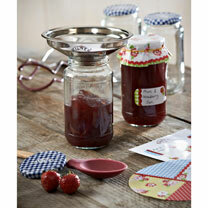 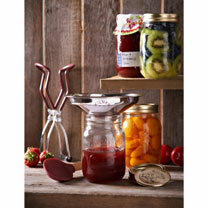 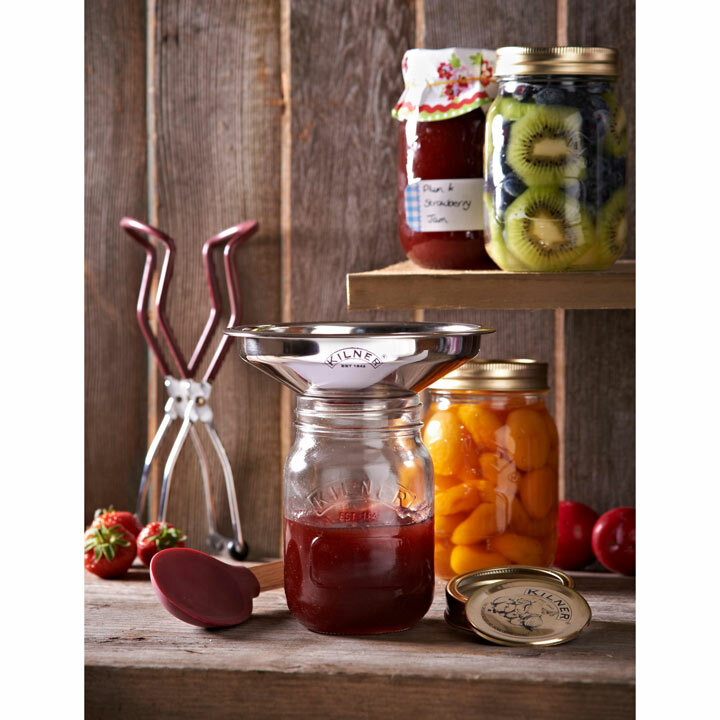 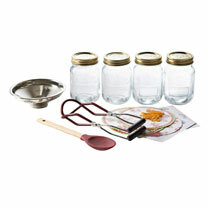 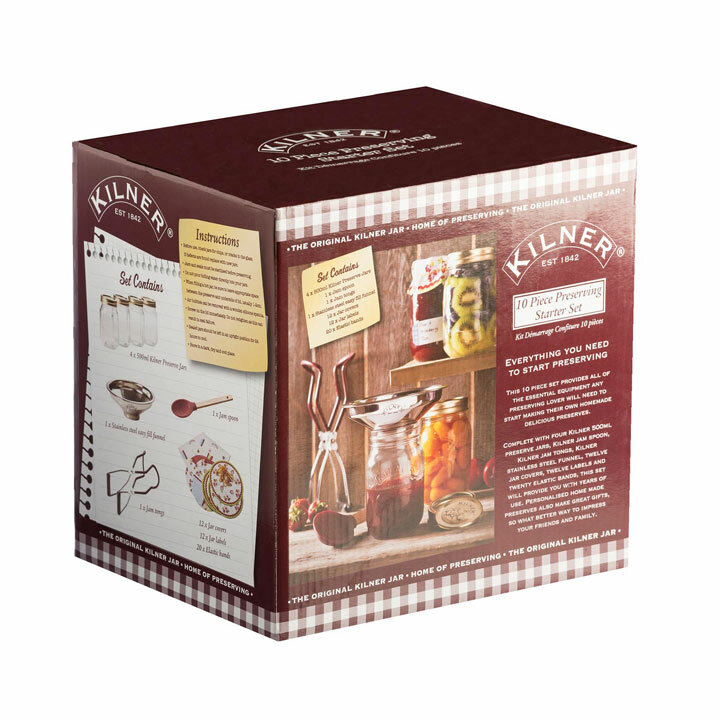 10 Piece preserving set - Contains all of the essential equipment any preserving lover will need to get started. 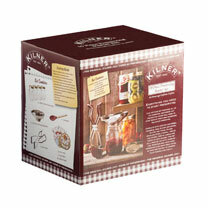 All in one box! Includes four 500ml preserve jars, jam spoon, tongs, stainless steel funnel, twelve jar covers, twelve labels and twenty elastic bands.